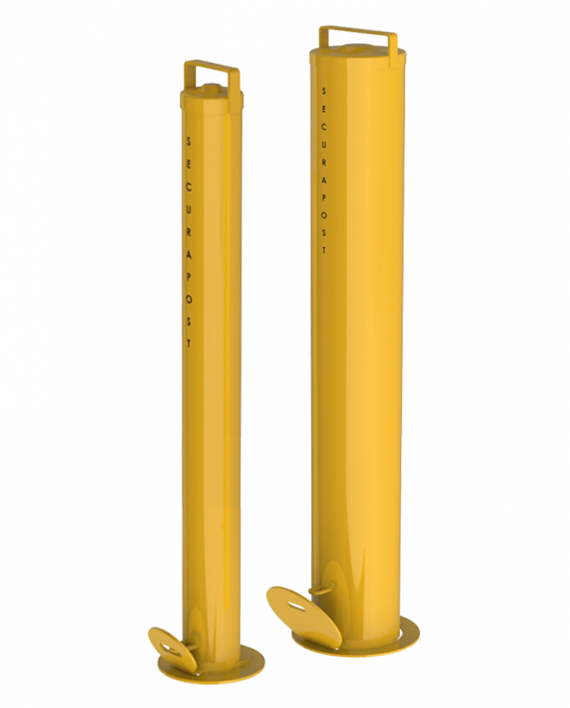 Padlock bollards are removable and come with a sleeve with a hinged cover plate. A padlock secures the bollard into the sleeve when it is inserted. When the bollard is removed, the sleeves hinged cover plate is used to cover the hole. Our clients supply their own padlocks.